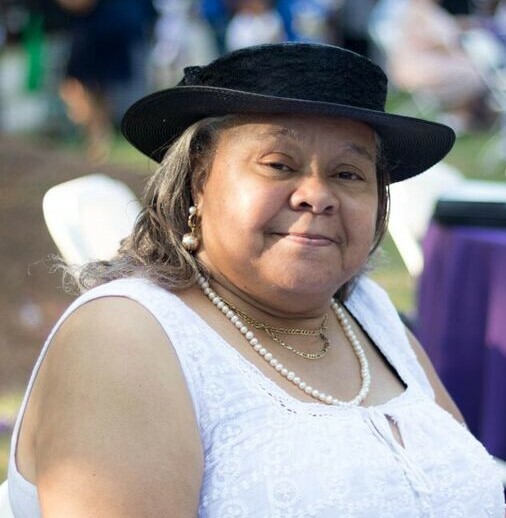 Ms. Hazel Ruth Brown Thomas “Red”, as she was fondly called, departed this life on Friday evening, January 11, 2019. She was born on January 26, 1955 to the late James Albert Hall “Buddy” and May Elizabeth Brown Boney. She was reared by the late Mr. & Mrs. James Roosevelt and Lottie Farrior Brown of Deep Bottom. “Red” was formally educated in the Duplin County Public School system. She attended James Sprunt Community College. She was united in holy matrimony to Ronnie Williams and this union was blessed with one child. She later throughout life united in holy matrimony to Herbert Thomas and this union was blessed with three children. “Red” joined Union Baptist Church at an early age and attended as long as her health permitted. She was a loving and caring wife, mother, grandmother, sister, aunt and friend who supported and provided for her family. In addition to her parents, “Red” was also preceded in death by her sister, Wanda Boney Jones and Step-Father, Roosevelt Boney, II ”Trick”I. “Red” leaves to cherish her precious memories: Two Daughters Rhonda (Michael) Newkirk, Apex, NC Santana (Derick) Wilson, Beulaville, NC. Two Sons: Herbert (Crystal) Thomas, Garner, NC, Montana Thomas, Beulaville, NC. Seven Grandchildren: Briana Newkirk & Ayonna Newkirk, both of Apex, NC, Michael Newkirk, Jr., Fort Meade, MD, Jamya Wilson, Izaiah Wilson, Montana Joshua Thomas and Michael Thomas, all of Beulaville, NC. Four Brothers: Eddie Brown, Wallace, NC, Jimmie Brown, Beulaville, NC, Alvin Boney, Fayetteville, NC, Roosevelt (Sophia) Boney, Wallace, NC. One Sister: Carolyn Boney (Stanley) Hall, Wallace, NC. Five Uncles: Joe Kenan, J. C. Kenan and Calvin Kenan all of Beulaville, NC, Otis Kenan, Alexandria, VA Eddie Lee Carter, Greenevers, NC. Four Aunts: Sallie Mae Salmon, Dillon, SC, Lucille Chasten, Chinquapin, NC, Marquerite Hall, Boston, Mass Rosie Lee, Virginia. Four Special Friends: Fannie Mae Keith, Gloria Morris, Betty Ann Pickett and Cathy Pickett Host of nieces and nephews, other relatives and friends.